Imagine buying a house and finding an old manuscript between the joists. Dusty and handwritten, you slowly thumb the pages to extract insight from its contents. Your hand strokes the old pages as if to feel the author’s words. Is it valuable or just the ramblings of the prior owner? 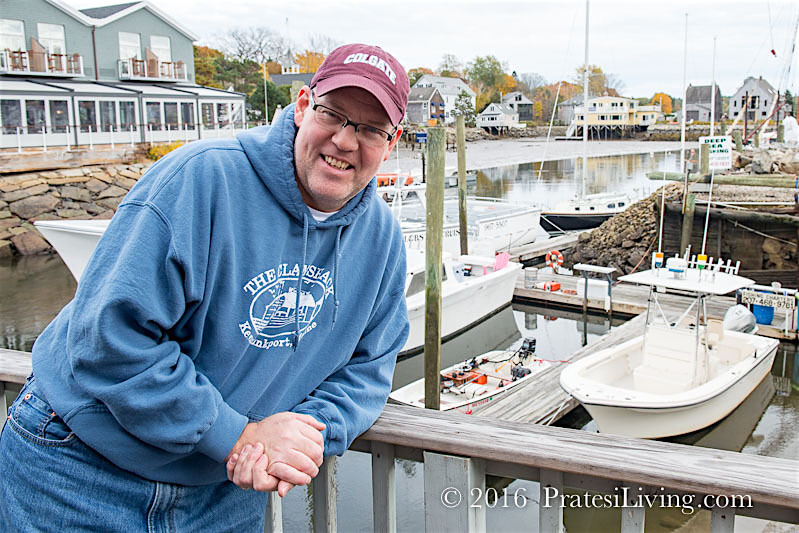 When Steve Kingston bought The Clam Shack in 2000, located in Kennebunkport, Maine, he came across such a find. 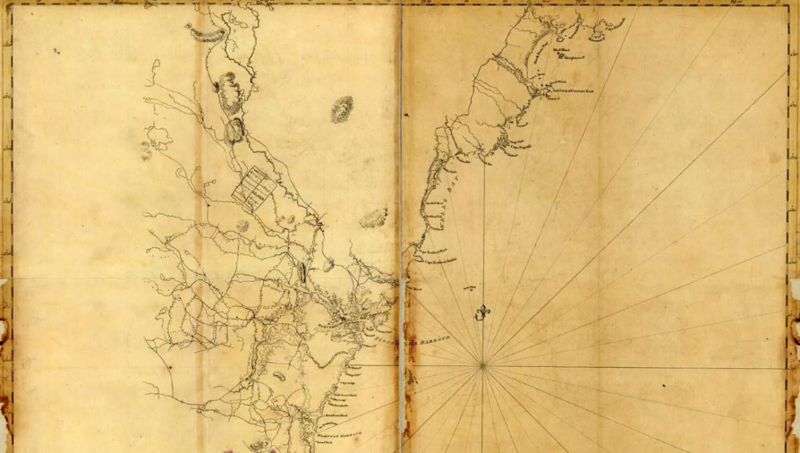 Little did he know that along with the vats, refrigerators, boilers, and restaurant supplies was a book of knowledge that could easily be considered a treasure map to the clamming industry of Maine. Almost 40 years of history was detailed in those pages. 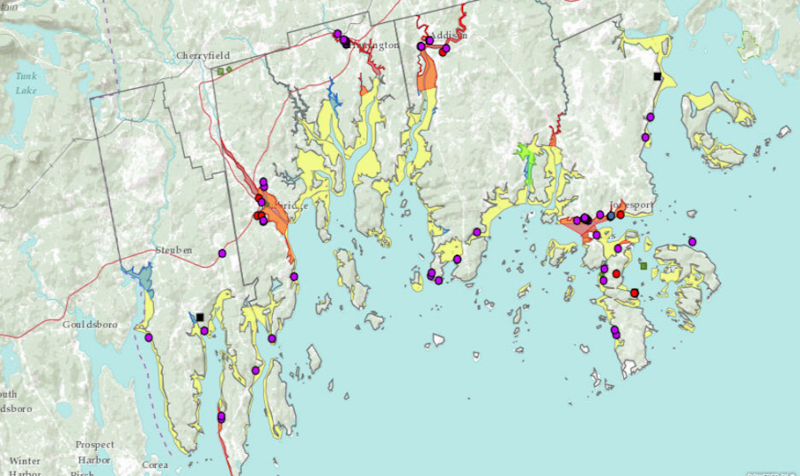 Notes about each day’s clam purchase was recorded over time and insights into “the best” clam beds in the region. 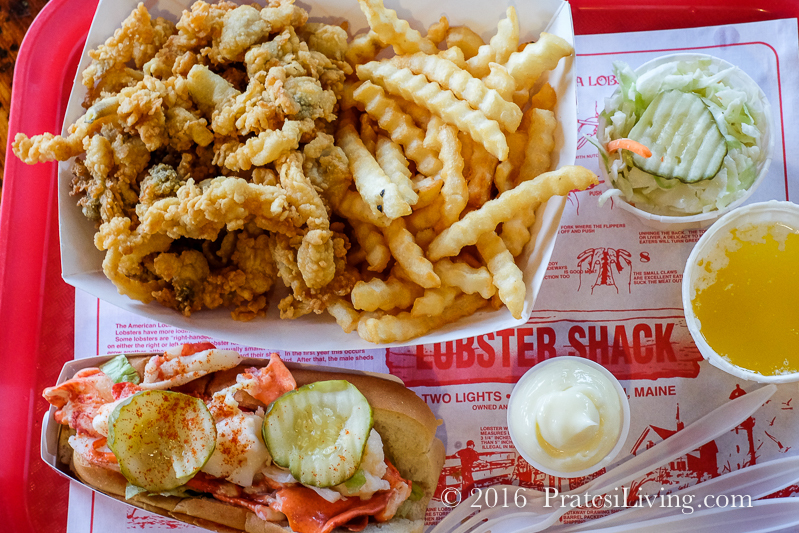 Last fall, we traveled from Boston, Massachusetts to Portland, Maine in search of “The Best” lobster roll and fried clams. 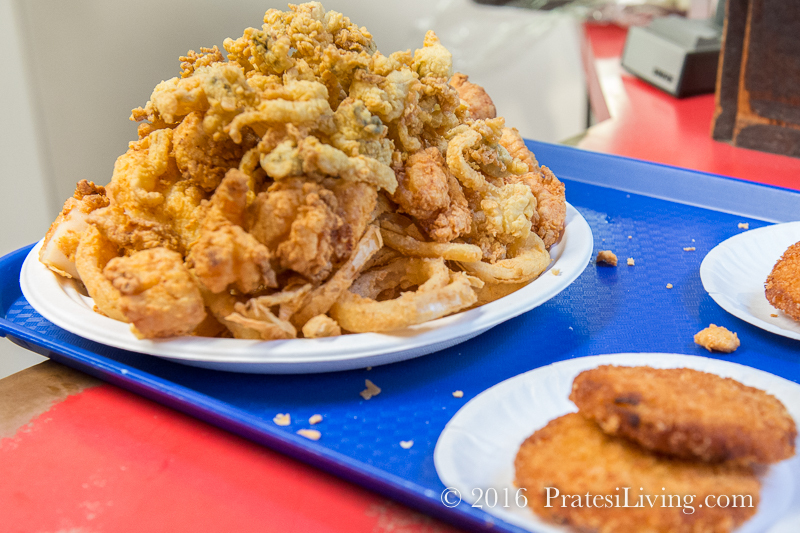 Part I is our Lobster Roll findings (click here for the full story) and this, Part II, is all about the fried clams. 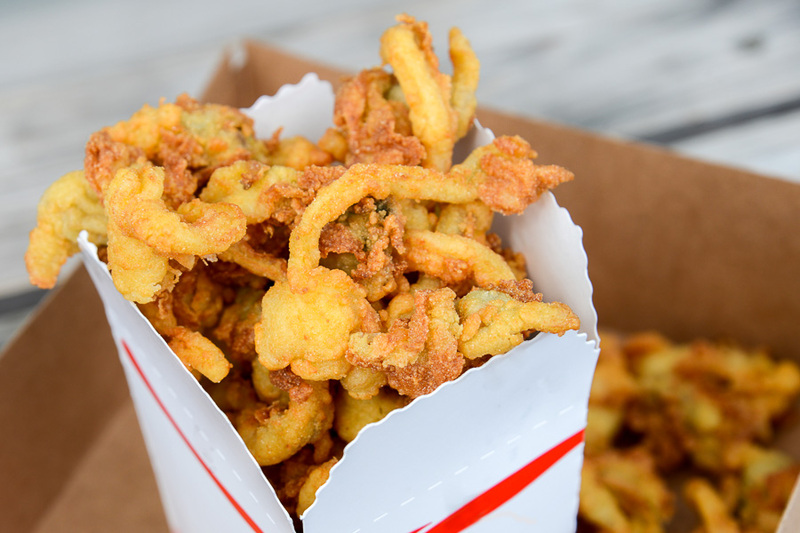 Prior to our trip, we reviewed the numerous articles about New England clam shacks and then we asked friends from the area about their favorite fried clam shacks and what was it about those fried clams that made them the best. 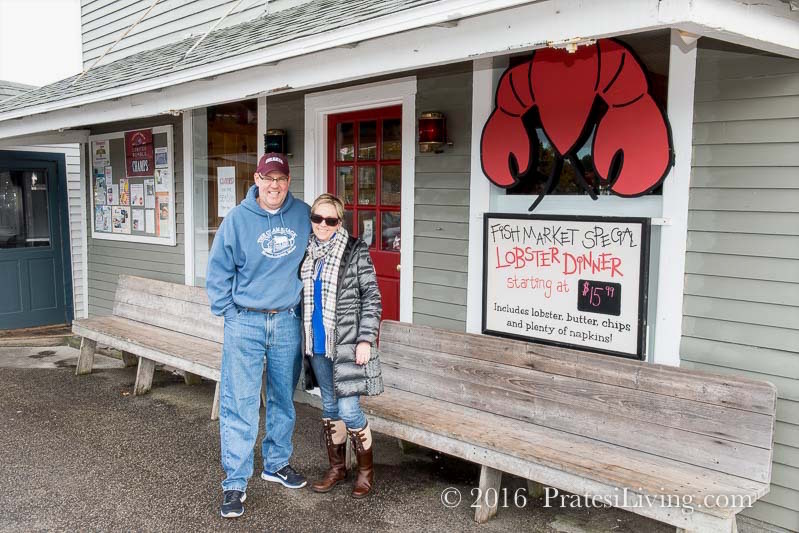 Everyone said their favorite place had “the freshest,” “sweetest,” and “full belly” clams. What we found in our own research surprised us. 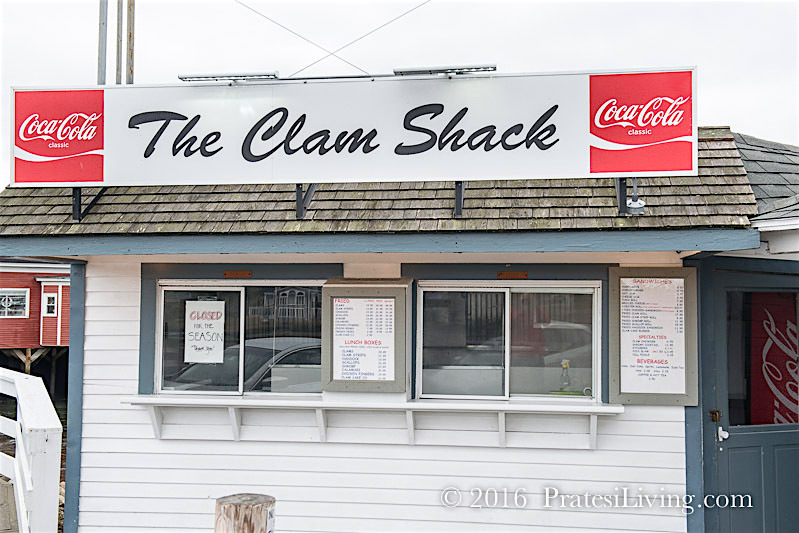 We tasted more than a dozen of the recommended clam shack’s fried clams and in finding a clear winner, it wasn’t one of the shacks mentioned to us. Ipswich clams. 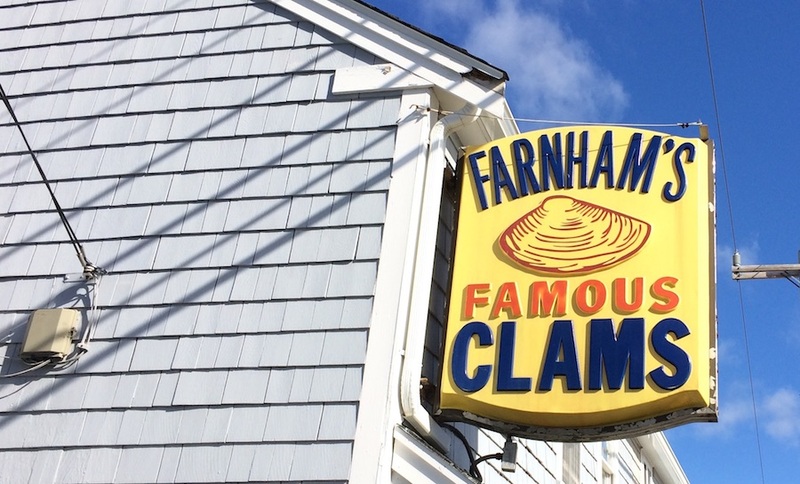 Those soft-bodied longneck clams, sometimes called steamers, that live in the mud flats along the coast of Ipswich, Massachusetts, have long been the coveted clam for fried clams. They are known for their size, flavor, and sweetness. 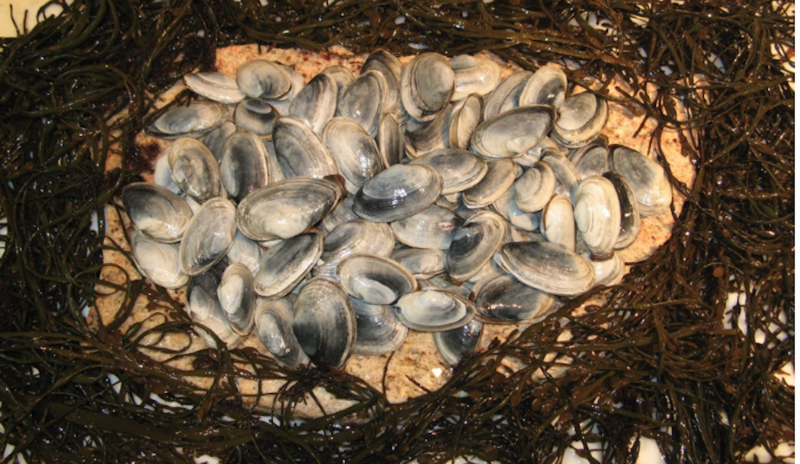 However, this prized bivalve is in short supply due to an invasion of green crabs (they love soft shell clams, too), pollution, and overharvesting from people that discovered the secrets of this shelled jewel. 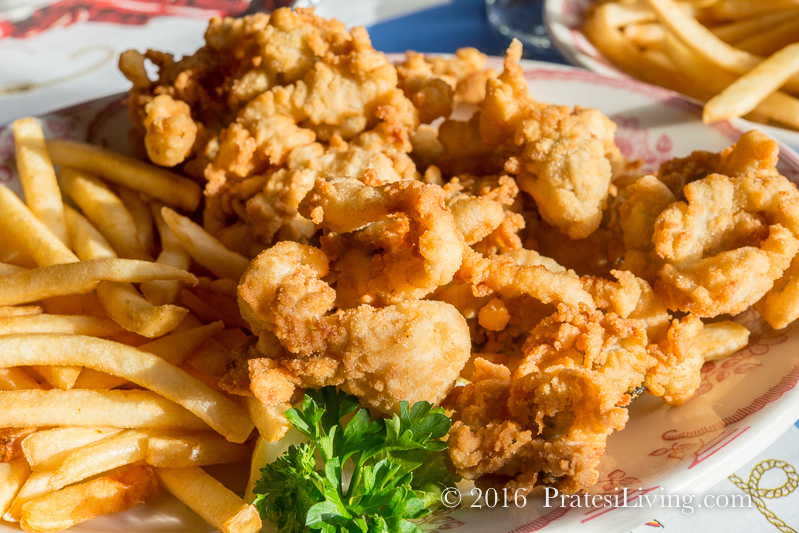 For decades, restaurants chose the Ipswich clam as the best for fried clams. When the fisherman brought in their bushels of clams, they noted where they were harvested on the tickets and sold to the distributors. While most relied on the “Ipswich” name, those tickets also included more specific information about the location of the beds that was ignored by almost everyone, and those bed numbers provided insight to one clam shack owner who took the time to record each day’s purchase and the quality and taste of the final product. 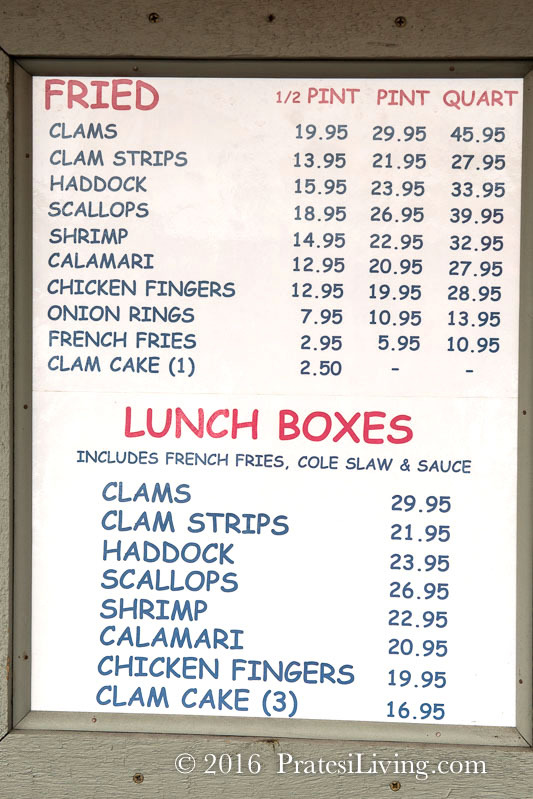 The Clam Shack, first opened in 1960, was a local favorite. 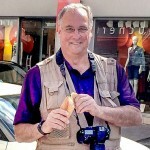 Patrons traveled from as far away as Boston and beyond to enjoy the sweet fried treats. In 2000, Steve Kingston purchased the Clam Shack. When he took over the restaurant, he didn’t quite realize what the clam log meant, but it soon became obvious that it was a guide to taste and quality of prior purchases from the previous owner. With this information he could go to market and buy clams from specific beds knowing these would produce the best fried clams for his customers. It also meant that he had to do it in such a way as to not give away his secret about bed numbers and locations. 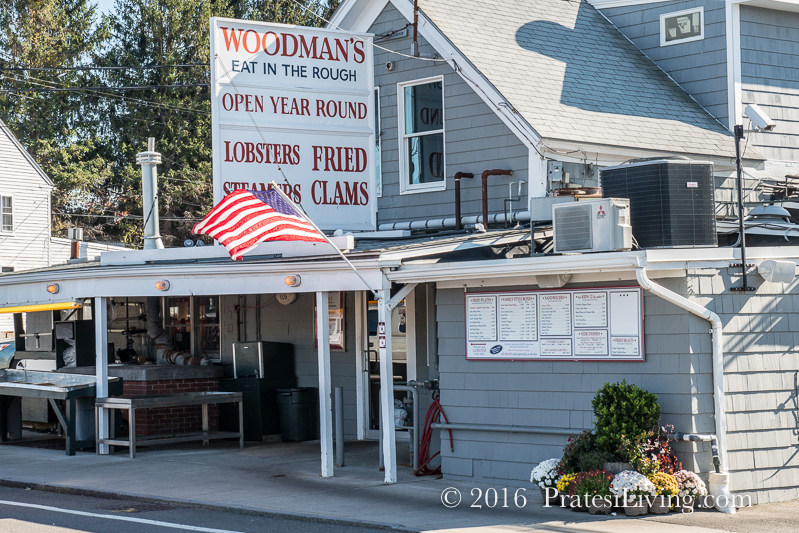 Most New England clam shacks rely on specific sources and fill in with general market clams when their supplier is in short supply. This tends to create a lot of variability in the product they purchase. Sure, the coating, oil, and ingredients make a difference, but it’s the clam that’s the star of this show and when you can’t rely on finding consistent clams, it’s hard to create a consistent product. For Steve, he would go to market and buy specific beds if available, knowing which produced the best taste and quality. But again, they are not always available. Over the years he has maintained his log, keeping it current with changes in the sources and the environment’s impact on the clams. You might think that a gravel or sandy bottom would produce clean, sweet clams, but it’s the muddy bottoms with the right amount of salt in the water that produces the best tasting clams. The clams are grown in this environment and allowed to purge for a few days in cleaner water. The purge is the natural process that clams do when they take in the surrounding water. The cleaner, not muddy, water also cleans the inside of the shell and meat.